When it comes to heating and plumbing services, timeliness and thoroughness are key. Fast Response Plumbing in Lindenwold, New Jersey offers expert plumbing, heating, drain cleaning, and emergency services. Plumbing issues never arise on a convenient schedule, which is why Fast Response offers 24/7 services for all of its customers. Much like piping and drainage issues, problems with heat always seem to occur at the most inopportune times. Heating issues are also covered under the 24/7 service call policy, so no one gets left out in the cold. Fast Response Plumbing is the leading authority in Heating and Plumbing services in Camden County New Jersey. 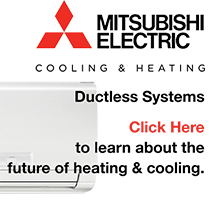 We service, repair, fix, or replace the following hot water boilers, thermostats…Fast Response Pluming can and does fix it all. If you are in need of emergency service or repair in Lindenwold, New Jersey fill out the quick contact form or call to schedule an appointment today. Lindenwold is also home to the Whitman Stafford house. Between 1876 and 1884, poet Walt Whitman spent summers in his later life at a friend’s farm house a few blocks from Laurel Lake in Laurel Springs, Camden County, New Jersey. Whitman converted one of the barn buildings into his summer home. Whitman said that Laurel Lake was the “prettiest lake in either America or Europe”. Much of Whitman’s work for “Specimen Days” and part of “Leaves of Grass” were written here.